Big systems need tight security - and the experts who can implement it. Cisco Networking Systems are the go-to providers for network infrastructure, but maintaining it takes a lot of up-to-date knowledge. If you want that knowledge right from the source, there's an online course that can get you certified painlessly: The Foundational Cisco CCNA Security Bundle. In three comprehensive courses totaling 53 hours, you'll get the foundation that will not only allow you to install Cisco networking systems but maintain them in the face of today's cyber-threats. You'll learn the ins and outs of IPv4 and IPv6 networks, from the basics like LAN and router configuration to spanning tree and dynamic routing protocols. You'll then move on to the final lesson, which teaches how to deploy firewalls and other basic security measures - and how to route things in case of a breach. By the end, you'll be ready to ace the related exams and become a Cisco Certified Network Associate. 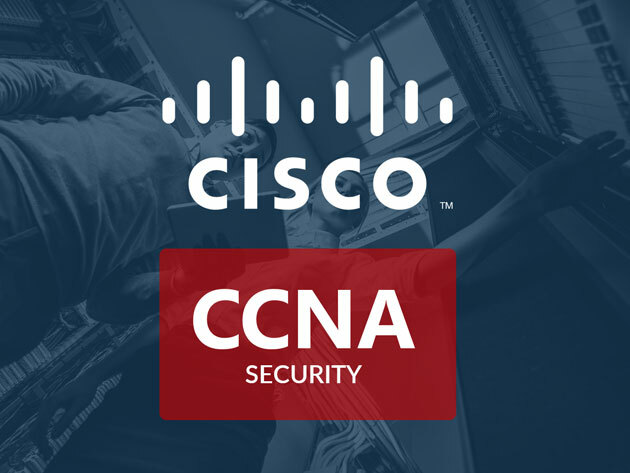 Lifetime access to the Foundational Cisco CCNA Security Bundle is now $29.